Goats And Soda Call-Out: What Question Should We Investigate About Charitable Giving? : Goats and Soda And the winning question: What are the unintended consequences of charity? Is the ripple effect improving humanity or crippling it? 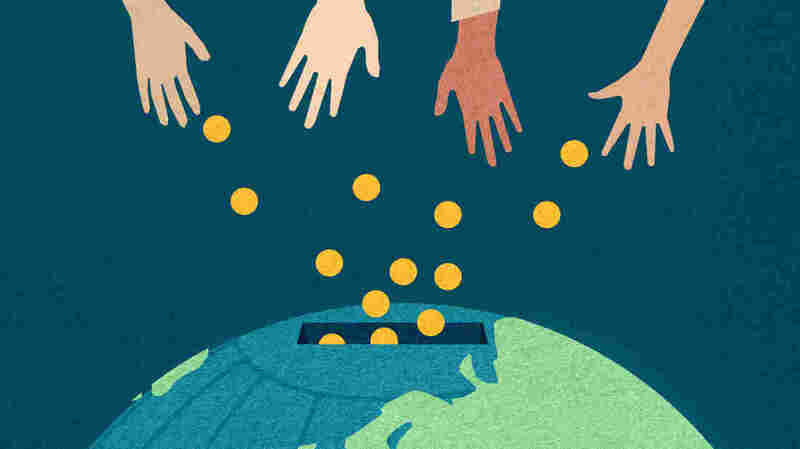 What Question Should We Investigate About Charitable Giving? Here at Goats and Soda, we're trying something new: We'd like to know what you want us to investigate. Our first call-out was about girls in the developing world. And last week, we asked you to submit questions on global diseases. What are the unintended consequences of charity? Is the ripple effect improving humanity or crippling it? One of our correspondents is now working on a story to answer this question. We'll publish it in Goats and Soda — with credit to the submitter, of course — at the end of October. Thanks to everyone who submitted a question and voted! See the results of our previous call-out on the topic of global diseases, here.